I took M to see R play in the pit at Cinderella a few weeks ago. 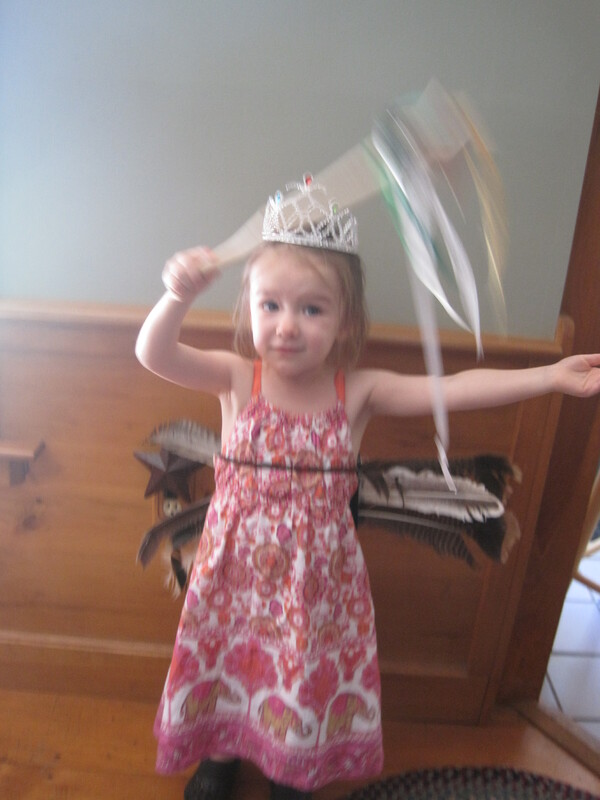 Then, in New Hampshire a few weekends ago, her cousin got her all decked out in this get-up with wings, crown and wand. You should have seen the super adorable twirl she did – exactly like they did in the play! Here she is mid-twirl. I only wish the photo had come out better, or maybe that I had a video of it. So adorable!